Settle in for a charming rags to riches novella generously infused with true tones of the Regency era. 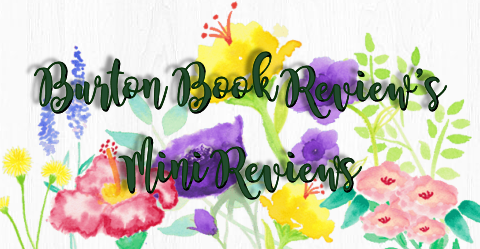 Jenny Longtree travels to London for an unexpected treat to a season of balls sponsored by her uncle (in spite of the miserly aunt's misgivings). Upon meeting the dashing Lord Corville at the exclusive Almack's establishment, Jenny's otherwise dim future immediately brightens - if only she can wiggle her way out of another's grasp. As a novella, the story is forced to cut corners such as possible romance scenes, but this helps the charm of the novella as well. The intriguing characters combined with a witty writing style make up for a somewhat predictable plot, while the historical setting portrayed itself very well. 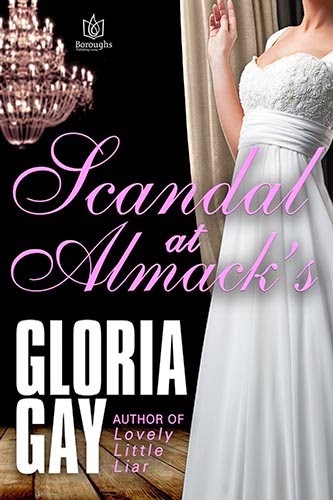 I would have enjoyed these characters in a full length novel with some added romantic nuances, but overall Scandal At Almack's is a novella that could easily be recommended to Regency lovers. Petals on the Wind coming to a TV near you! And check out this new modern cover from Pocket Books! It is available May 20, 2014. Will you be watching? Do you have memories of reading V.C. Andrews? What was your favorite novel or series? 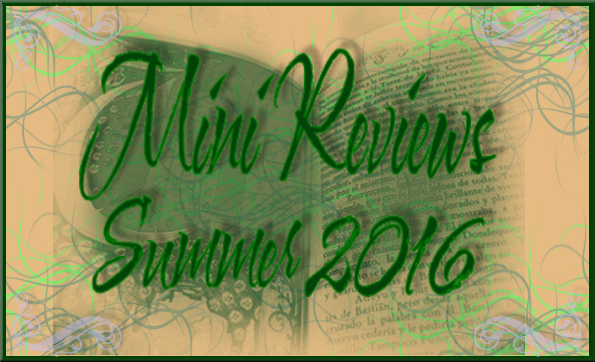 I really enjoyed My Sweet Audrina, and I remember once reading at least some of The Casteel Series. I wonder if I would still enjoy those as well. Review copy provided via NetGalley, thank you! For lovers of biblical fiction, Mesu Andrews' book on the declining era of David's descendants is sure to enthrall. It is filled with the wicked ways of pagan worshippers and how the Almighty works in mysterious ways. This story focuses on a "Queen of Destiny", Sheba, as she is used by Jezebel and her daughter Athaliah to carry out deeds in honor of their idol Baal. 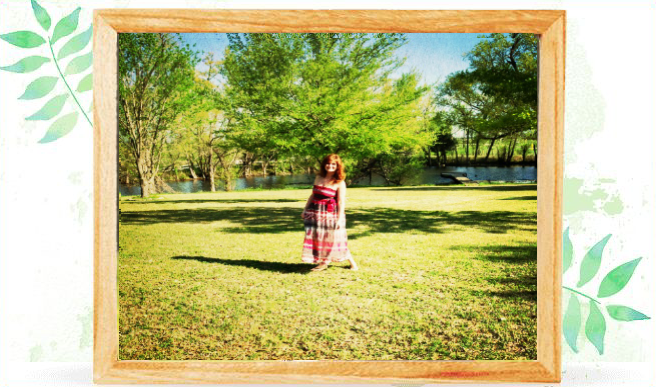 The young woman grows from a young selfish girl to a true worshipper of Yahweh, and manages to save the line of David in spite of the demands of the wicked Athaliah. Sheba was meant to become a spy in Yahweh's temple when she married the new priest - to be used as a tool to enact destruction and cause mistrust among the temple worshippers. Instead, Sheba falls in love with her husband and their love serves as a beacon of hope among a sea of bloody revenge and greedy pagans. It is a well plotted story with chapters that quote scripture to help us realize where we are in the Holy Bible's timeline of Chronicles and Kings as it puts the history into context while filling in many blanks. In the Shadow of Jezebel offers love, friendship, adventure, drama and intrigue set against political and religious maneuverings with a very worthy heroine in Jehosheba. Her character was put forth swell with flaws and realistic fears during her journey towards learning of Yahweh's merciful power; her patient husband another admirable character who would defend the temple and his family with equal zeal; with her brother Hazi as her charming defender but sadly still under his wicked mother's thumb. While this is a book #4 in a series, the novels stand alone. 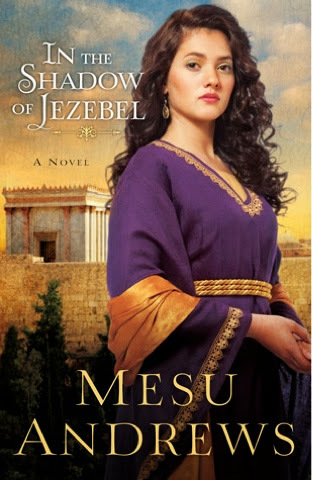 I will not hesitate to pick up all of Mesu Andrews' novels, and will recommend her to all those who thirst for more knowledge regarding the bible's key figures as well as introducing us to those we will be eager to learn more about. A British privateer and an American hoyden clash on the high seas as they tangle with a notorious pirate…and attempt to resist the rising tide of passion between them. Ordered by the Prince Regent into the Caribbean, English sea captain and former privateer Jean Nicholas Powell has no time for women aboard the Wind Raven, especially not Tara McConnell. The impudent American demanded passage, and so she’ll get more than she bargained for: Instead of a direct sail to Baltimore, she’ll join his quest to investigate and neutralize the rampaging pirate Roberto Cofresi. 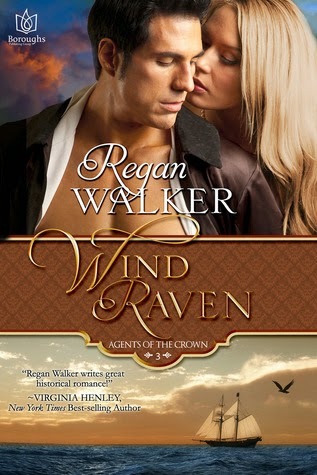 Wind Raven is the heroic English Captain Nick's famous ship that American Tara McConnell finds herself making the long journey home on. She doesn't like the British ton or their fancy balls, she doesn't like the British due to the recent War of 1812 despite their new alliance, but she does like ships and sailing the ocean blue. As she dons her breeches and falls in step helping Nick's crew with their chores, the captain admires her from afar until the romance slowly heats up aboard the ship. Meanwhile, the pirate Roberto Cofresi spots Tara and wants her for himself but he'd have to win her from Nick first. With plenty of adventure and great storytelling this third book of the Agents of the Crown series hits the mark for a quick thrill on the high-seas, though perhaps tenuously held together in a slightly too convenient plot. 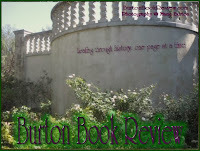 Can easily be read as a stand-alone, the novel easily evokes the era and the extensive author's note was appreciated.